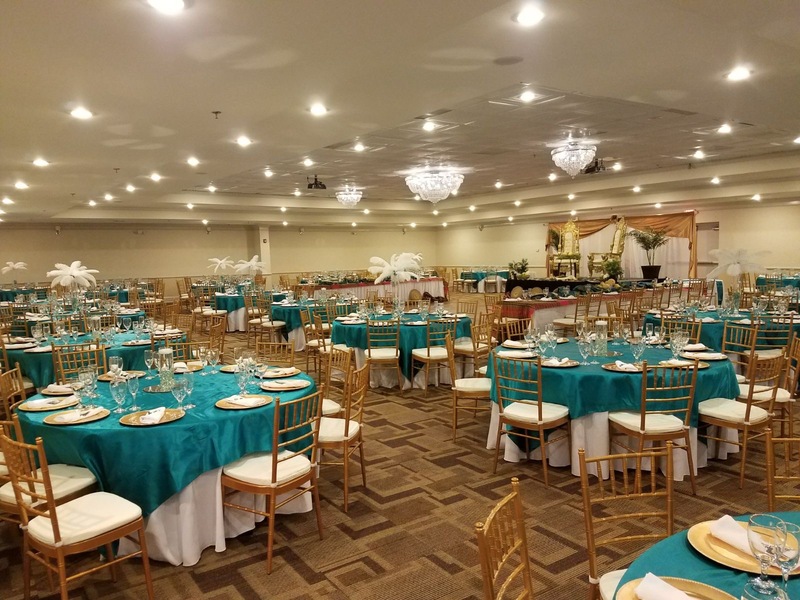 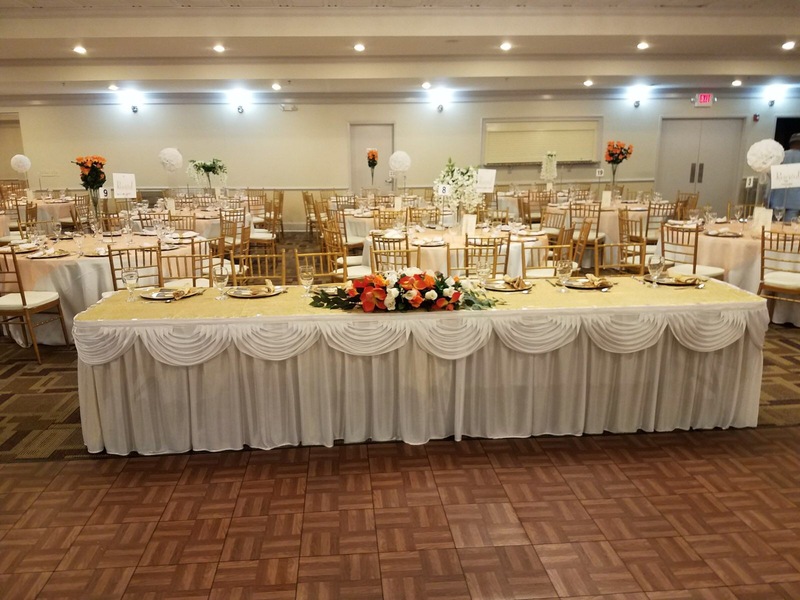 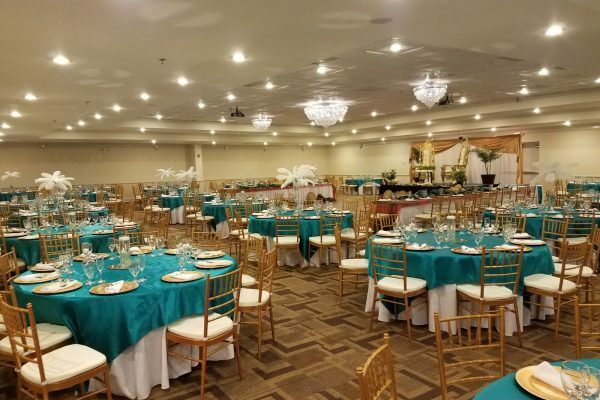 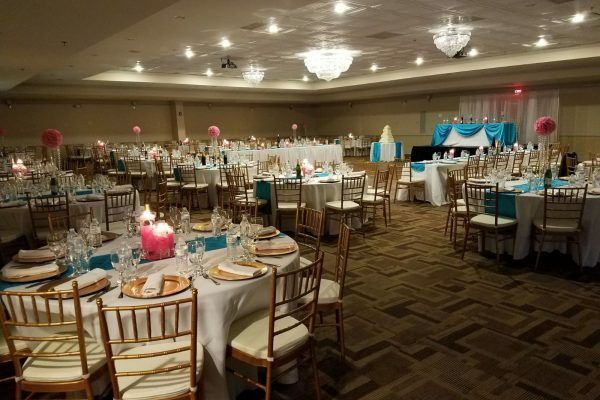 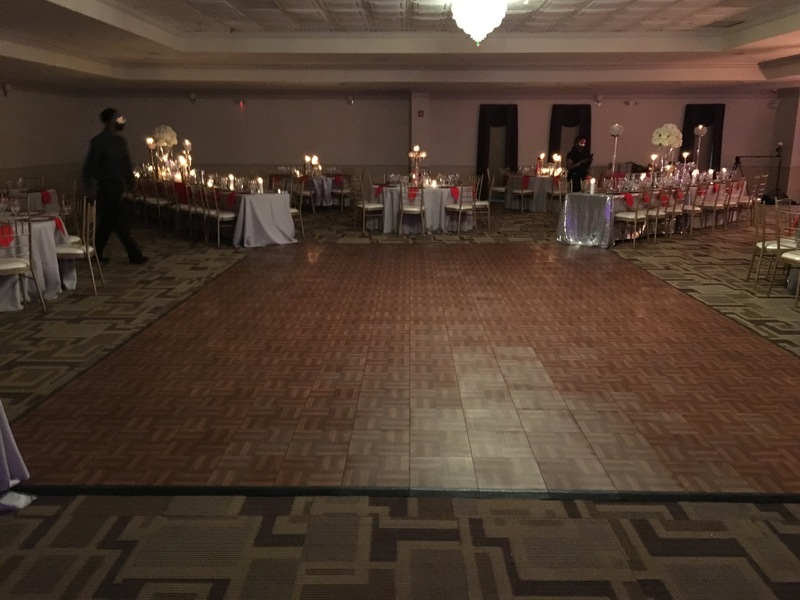 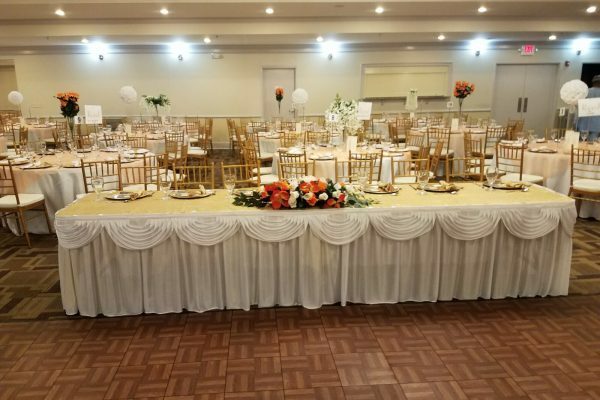 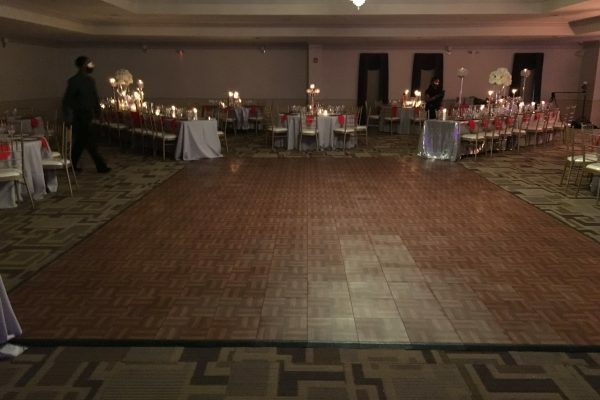 The banquet hall is a grand ballroom that can be set up to suit your event needs. 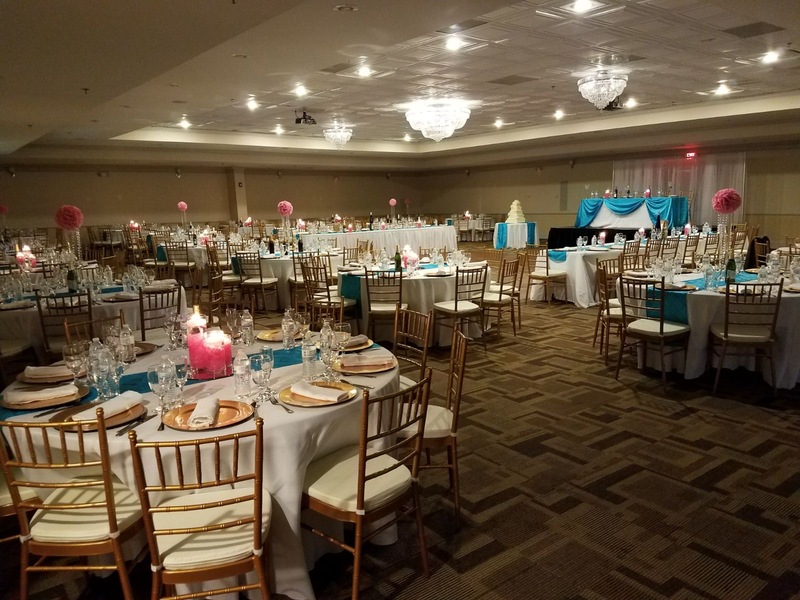 Tray ceilings, crown-molding, elegant light fixtures, and 3 beautiful chandeliers highlight the room. 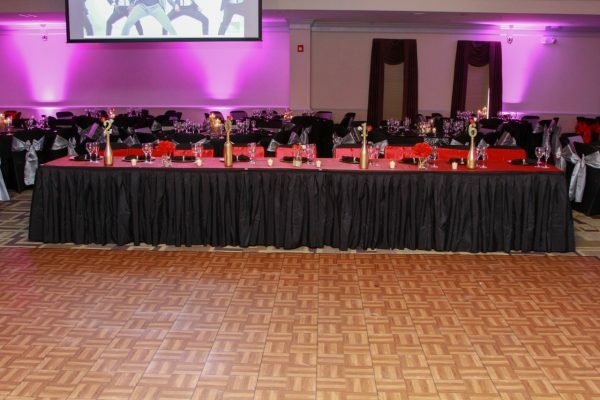 This space can comfortably hold 330 people seated banquet style or 550 people standing or seated corporate style. 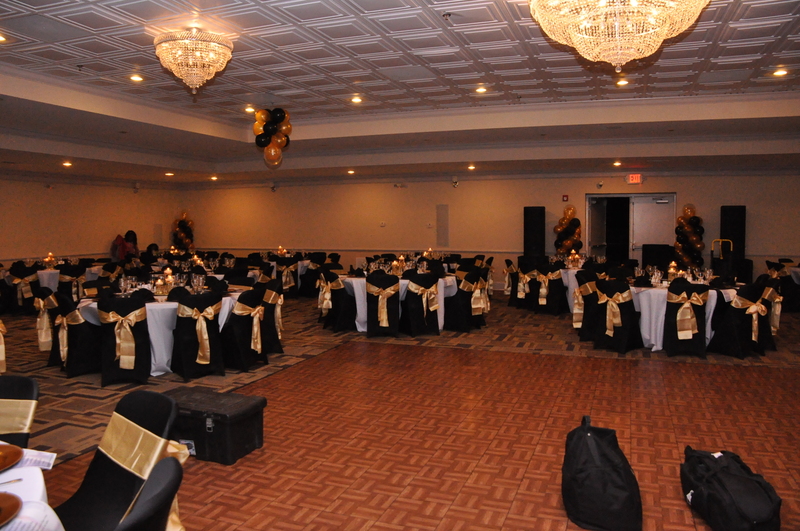 The space is also equipped with surround sound and 2 projectors for your convenience.